For patients, the good news is that fibromyalgia seems to respond well to certain antidepressants. These drugs don’t just help relieve the symptoms of depression, but they also seem to calm down the constant pain, muscle stiffness, muscle spams and other physiological symptoms of the syndrome. Your doctor may prescribe them even if you haven’t developed any symptoms of depression. Click here to visit the Fibromyalgia Awareness Shop. Free U.S. 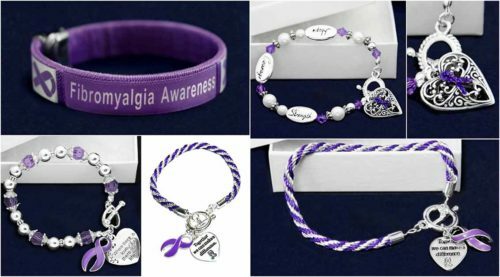 Shipping and Save Up To 70% On Fibromyalgia Jewelry and Apparel!